Sometimes I wonder how my life would do as an inspiration for a TV show. Of course it could only be a trashy one, with a lot of very flat jokes aiming for the cheap laugh and a lot of swearing. But once in a while I’d want a clever joke just for the ones with that damn same sense of sarcasm. And then I wonder who would be in the cast. But I digress…. today I have a few gems for you! I’ll share some very smart and clever, let’s better say sophisticated, trash TV worthy conversation I had this week out loud! Can somebody please explain snapchat to me? I just don’t get it! I tried to send a photo and couldn’t. After a few minutes of trying I sent my sister the photo by what’s app. And my sister anciently added a horrible picture to her history (whatever this is) and we had to google how to remove it. Conversation with my sister: Are we too dumb? And if not who could possibly explain snapchat to us? Maybe a teenager? In case you missed it I am now a proud owner of a Gryffindor Scarf. It’s comfy and I am wearing the red and gold like a boss. So you see fully support buying Harry Potter stuff. Hey winter is tough at Hogwarts. So I guess you see I am House Gryffindor at heart. And I can also understand that maybe some even prefer Slytherin or Ravenclaw. But have you ever heard someone say: I hope I am gonna end up at Hufflepuff? Conversation with my husband: Sales Figures of Hufflepuff Fan Stuff! Who buys it and why? We’re not gossiping in the office about other people in the office – of course not. I am not that mean. But my colleague and I repeatedly analyzed and discussed a not-(yet? )-relationship between her friend and her crush the previous week. We both agree that they behave like high school kids. Imagine calling him and hanging up when he answers – that would be the next step of ridiculousness! And we both agree that they won’t end up happily ever after. Conversation with my colleague: How to make a women understand (and believe) that he’s just not that into her? Remember when I told you about the mobbing under adults incident? What I had predicted for the last 4 weeks now happened apparently. The two mob-leaders fight about who’s the prettiest/ most powerful/ meanest witch in town. I can’t say that I am not a bit gloating! 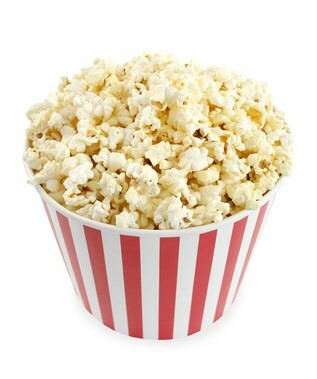 Conversation with my friends: Where the hell could we get some buttered popcorn fast to lay back and watch them go down in flames? One yet to have: At the moment I am closing the gap between who I am and who I want to be. Meaning I am doing all the things I always wanted to do but never quite had the time/guts to do or even felt a bit embarrassed to admit. Whether that’s openly loving my cuddly toys, getting a minion for my 30th birthday, getting a tattoo, throwing pies in each others faces, jumping out of a plane or just be openly weird. And I see this as well when I watch other people doing things out of their ordinary just for themselves. And the feedback ranges from astonished disbelieve to hostile remarks or even bullying. Conversation with whoever wants to chime in: Why do people feel so offended by other people’s changes? Okay maybe the last one wasn’t so easy breezy as promised but that’s something I have to address to anybody soon because this is a topic that’s breeding in my for a while now. Any ideas? Stefan and I yesterday discussing today’s dinner.. I (expecting the prize of Germany’s best wife ever): What about Carrot Pancakes? I’ll make them without banana! He (with a doubtful face): Only if they aren’t sandy! He: Coconut “flour” is just so sandy? Conversation with you??? : Is coconut flour sandy? Do I use a crazy brand? Do I just have a crazy husband? I think you’re right. Very insightful! The whole Snapchat thing has gone over my head. I’m even sure what it is except that its another form of social media. LOL Hufflepuff. We should totally go buy the outfits for hufflepuff- We’d be the only ones! Also….I think I saw some ridiculous pancakes on instagram. By ridiculous I mean awesome. And coconut flour is sandy but NOT as sandy as vegan protein powder. Heck, that’s dirt! Okay yes I totally agree with the vegan protein powder. That’s sandy! Like drinking the beach!